for meeting your immediate needs and/or the expected date service will be reinstated. services will be coordinated with an alternate Gentry Health Services location or a subcontracted pharmacy during the emergency. transfer your prescription(s) back after we have recovered from the disaster. notify your physician and obtain prescription medications to provide to Gentry Health Services. your medication, please go to the nearest hospital emergency room for help. 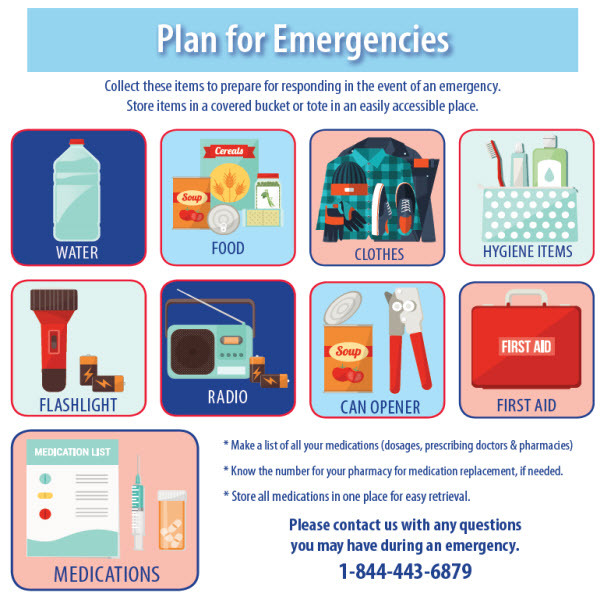 If you are in danger or are in immediate need of medications, first contact the closest emergency department or call 911 and then attempt to call us.